This year the staff have again worked to develop an entire area of our website dedicated to family and friend caregivers. This is one more way we can recognize all caregivers do for their loved ones and communities. Click the menu options at the right for impressive facts and figures about caregiving, specific help and support, regional lists and links to library resources for caregivers, and more. What I Learned from TiAC - We'd love to hear what you learned from the new Transitions in Adult Care module of our website. The module provides a wealth of resources, tips, and supporting research to help caregivers and their loved ones prepare for the challenges related to changing care needs and issues with ageing. And it's all in one place! Visit What I Learned from TiAC for details on how to participate. 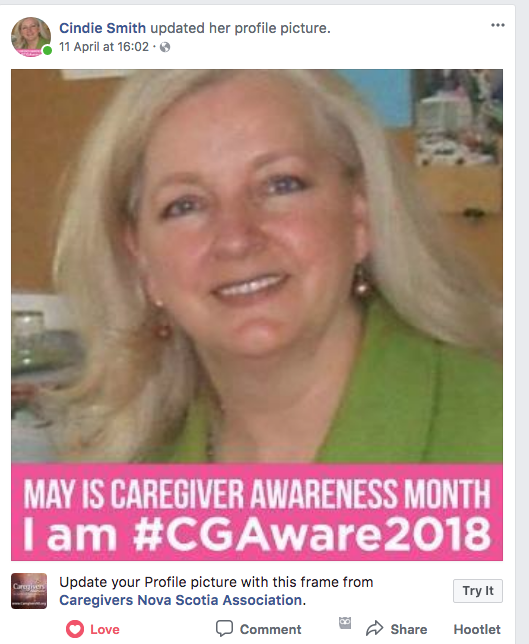 #CGAware2018 Facebook Frame: You'll be able to add a frame to your profile picture on Facebook. 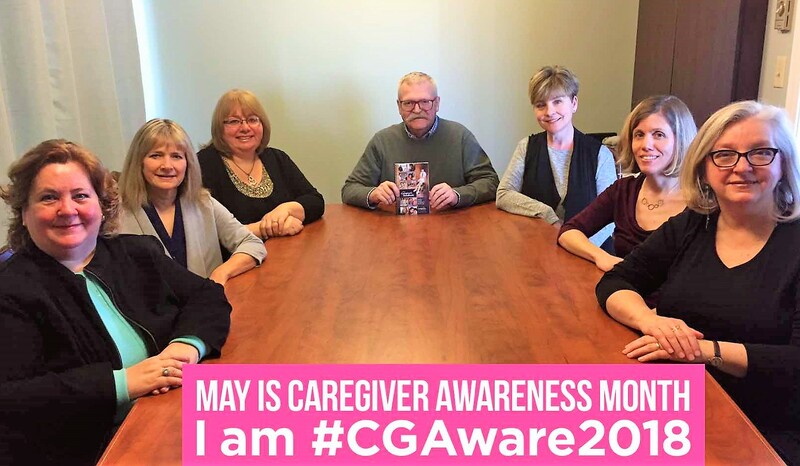 You can go to Caregivers Nova Scotia's Facebook page or to the page of someone you know who has used our frame and click the 'Try it' button. Click here for an example of what you should see. You can turn on the frame for a day, a week, or for the entire month of May. And don't forget to add #CGAware2018 to all of your posts throughout May! If you're not on social media, you can still follow the conversation.